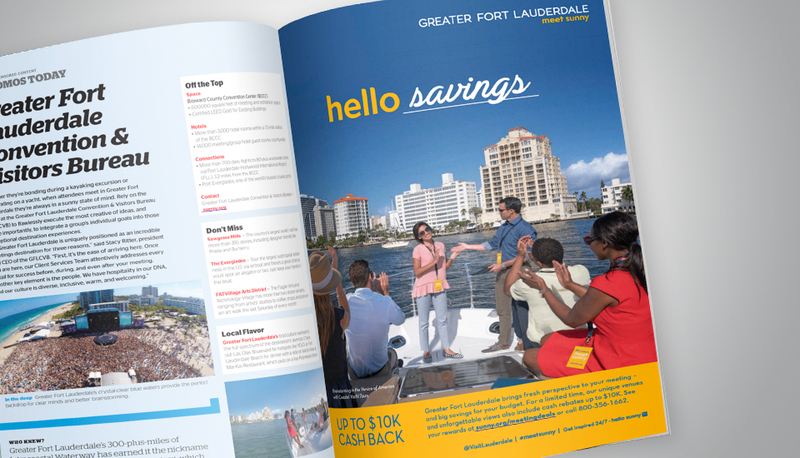 Starmark developed a new incentive package called “Hello Savings” for the Greater Fort Lauderdale Convention and Visitors Bureau. Since business-meeting bookings between August and December were typically slower, the package strategically offered U.S.-based meeting planners up to $10,000 in the form of cash-back rebates, along with extra hotel perks, when they booked eligible 2017-2018 dates. 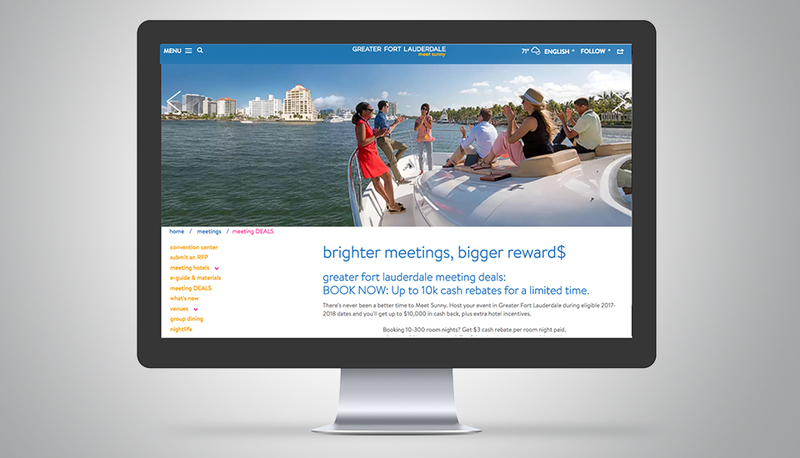 The campaign successfully resulted in 19 meeting bookings closed, adding $7 million in additional revenue impact. The video promoted the area’s unique meeting venues, including its 300 miles of scenic waterways. 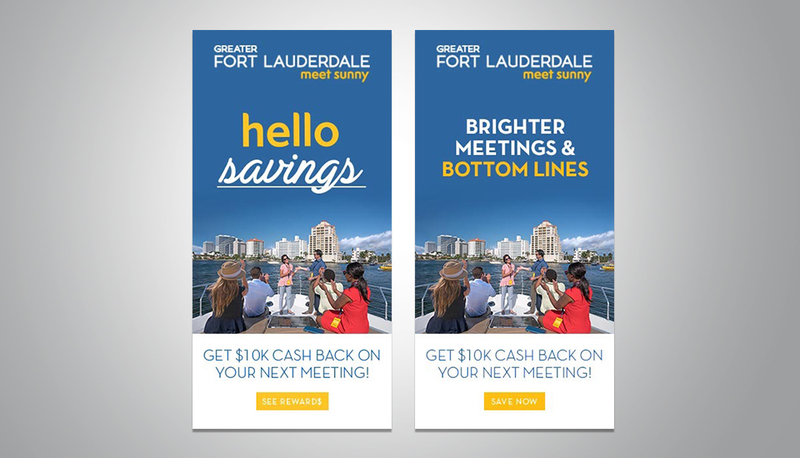 The “Hello Savings” theme was a clever nod to the destination’s successful and well-established “Hello Sunny” brand positioning, while the overall campaign components effectively supported print, digital, social and trade show marketing channels. 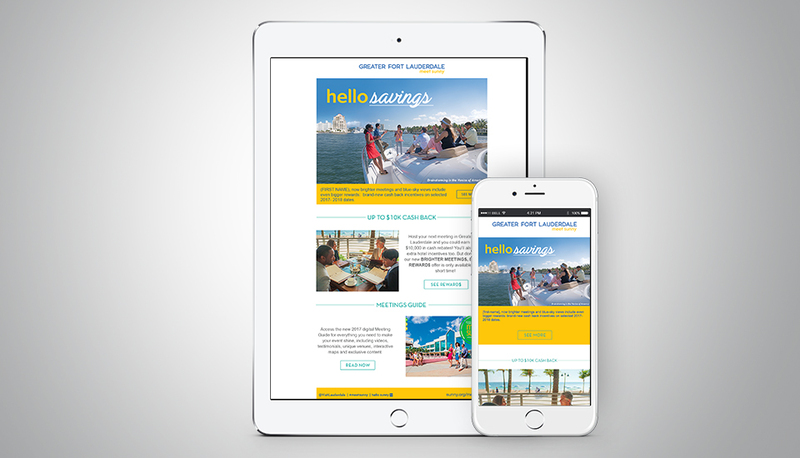 The campaign directed users to a landing page that discussed the offers in more detail to seal the deal.